The American Society of Dowsers is a nonprofit corporation founded in Vermont in 1961 to disseminate knowledge of dowsing (water witching, discovery of lost articles or persons, and related para-psychological phenomena), development of its skills, and recognition for its achievements. 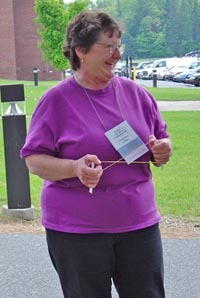 One purpose of ASD is to assemble all manner of dowsing theories, ideas, techniques, applications, instrumentation, experiences, etc. for study and evaluation. The society issues the quarterly journal the American Dowser, which present a representative cross-section of this highly diverse material. The American Society of Dowsers holds an annual convention as well as regional conferences and local chapter events throughout the year.